The cars had started the trek down I-69 as the 2013 Colts training camp in Anderson was a half hour in the books. That meant nothing to Bjoern Werner. Along with a handful of other Colts, there was Werner signing every thing that was put in front of him for the fans that wanted to catch one final glimpse of the Colts at Anderson University. 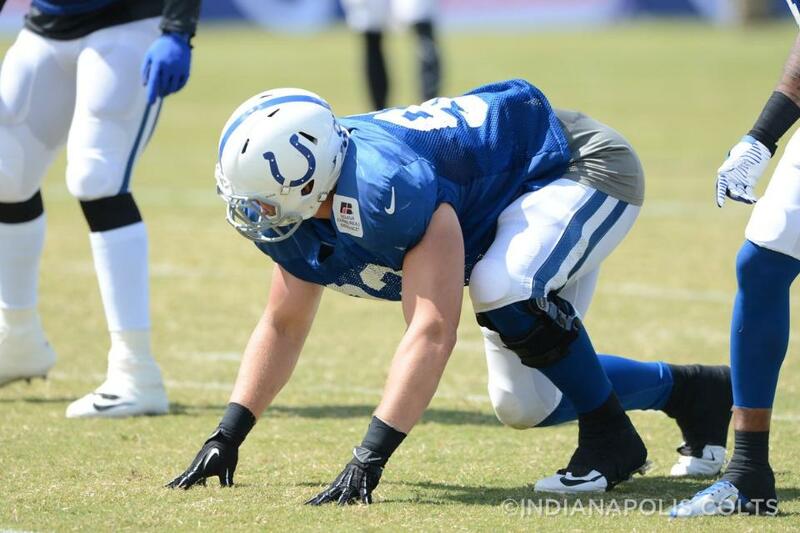 This was Werner’s first experience in an NFL training camp and amid the handful of pranks he received, the Colts 2013 first-round draft pick couldn’t have had a better time. “It was amazing,” Werner said of his training camp experience, following the autograph session. Next up for Werner is competing in his first NFL game, which he is expected to cross off the list this weekend. Werner has been brought along slower than last year’s Colts rookie class as the need is not there for an outside linebacker to come in and play 60-70 snaps. Under the tutelage of Robert Mathis, Werner is learning about life as an NFL pass rusher and Colts fans should expect the German native to get reps in nickel packages and on passing downs. Come Sunday night, Colts fans will be tuning in to see Werner’s four-point pass rushing stance and watch another chapter unfold for the jovial rookie. “I was so anxious last week to play but then it was like a game-time decision and now I just can’t wait to get out there and finally play again.